A cancellation or modification of the room reservation without any charge is possible at least 48 hours prior to the date of the arrival. Cancellation received within 48 hours from the date of the arrival or in case of no show will incur one night. Arrival from Singapore Changi Airport: Distance: 19km (11.8miles)Travel time: 20 minutesDriving instructions from airport:- Take Airport Boulevard to East Coast Parkway (ECP) expressway- Continue on East Coast Parkway (ECP) expressway in the direction of city for approximately 15 kilometers and take exit 15 to enter on Rochor Road- Follow Rochor Road for approximately 600 meters and turn left onto North Bridge Road. Drive for another 850 meters before turning right onto Stamford Road.- Drive straight and turn left on the first cross junction into Hill Street and then turn left again to enter hotel driveway for drop-off. Breakfast served either via in-room dining or at 15 Stamford by Alvin Leung that are not inclusive of our packages is chargeable at SGD $45.00++ per person. They serve international breakfast. As our hotel is located within the integrated development of Capitol Singapore, parking is available at Capitol Piazza via Coleman Lane and is offered complimentary for guests staying with us. High speed wireless internet access are available in all meeting rooms and bedrooms and in all public areas. All bedrooms are equipped with the latest AV technology and optimised for guests to bring their own device. A SONOS sound system allows guests to connect their phone or Bluetooth device to the hi-fi system in the bedrooms and bathrooms. Below are the meeting, banquet, conference and event spaces at The Capitol Kempinski Hotel Singapore. Feel free to use the The Capitol Kempinski Hotel Singapore meeting space capacities chart below to help in your event planning. Hotel Planner specializes in Singapore event planning for sleeping rooms and meeting space for corporate events, weddings, parties, conventions, negotiated rates and trade shows. 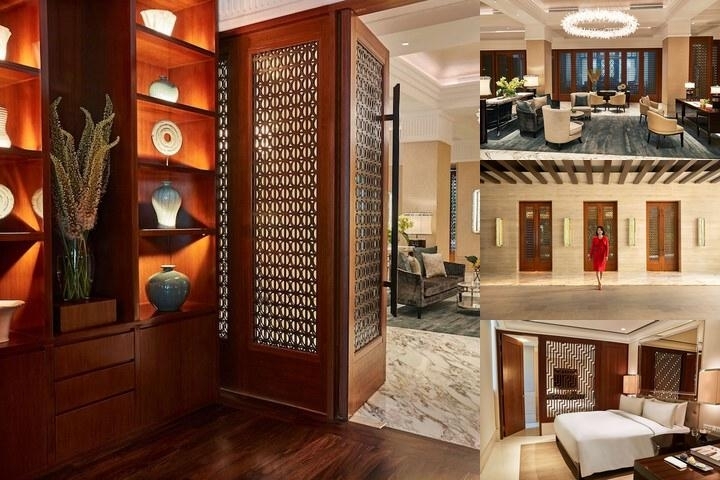 The Capitol Kempinski Hotel Singapore offers event spaces that can be delicately tailored for groups of varied sizes, from an intimate gathering with 12 guests in the charming Private Room, to 220 guests in a theatre-style setting in the elegant Atelier. The latter is situated on Floor 4 of the hotel, and features striking pitched ceilings, and an 18-metre hand-painted Chinoiserie designer wallpaper by de Gournay of vibrant, balanced and contrasting colours that create an aura of happiness and joy. Celebratory galas and cocktail parties commence at the pre-function area for 120 guests, with an open show kitchen for an interactive dose of theatre. 21 x 11 x 4 M.
The grandeur of theatre. 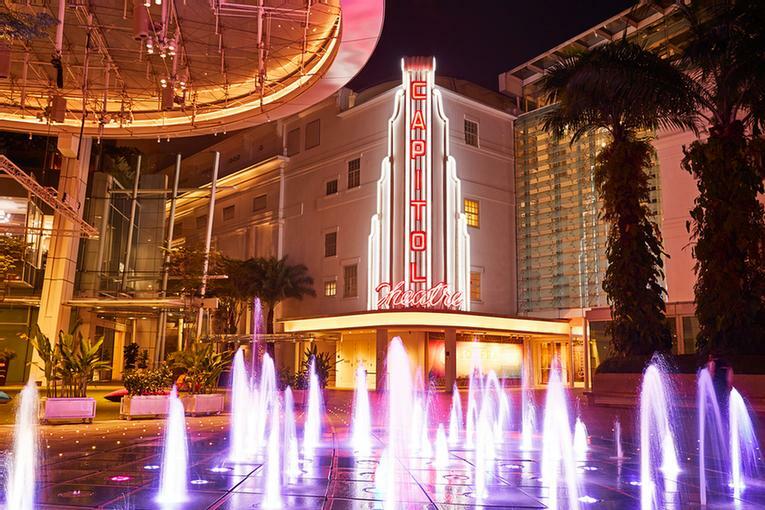 Intimately experienced - The hotel offers direct access to the legendary Capitol Theatre, once a jewel of Singapore’s cinema scene, which can be used for festive galas, conferences and extraordinary red carpet events. 1 x 1 x 1 M.